Do you like to play hard no matter the weather? Outside activities are great in the sunshine, rain, and snow. Making sure that your feet stay dry is a very important thing. The big thing- is what is the best way to dry your shoes, boot, and gloves when you are done outside. I just saw the Electric Dryer Warmer for Shoes Boots Gloves on Amazon and this would be the best thing to have for any outdoorsy people. I know from experience, a clothes fryer is so hard on shoes and gloves. It is an amazing alternative to air drying and so much safer than machine drying them. Just so we all know, I am the queen of shrinking clothes. I don't mean to but, I am. I have ruined so many school mornings by putting the shoes in the dryer at night to be prepared for the next day. It can be dangerous for a tight schedule because several things can happen. Shrinking is definitely at the top of the list! Pops the dryer door open so nothing else dries. Another morning ruiner is the dryer door opening. Have you dried a load of clothes with a pair of shoes in there thinking that you will cushion the dryer noise but, no. The dryer is so noisy with the clankity clank clank and it pops the dryer door open so nothing else dries. Streaks in the dryer are no fun. I've noticed them after drying tennis/gym shoes. It's like the streaks on the gymnasium floor. They have to be rubbed off to keep the dryer clean. The heat of a dryer can really damage the sole and exterior material of your footwear. Not to mention the insert coming loose. 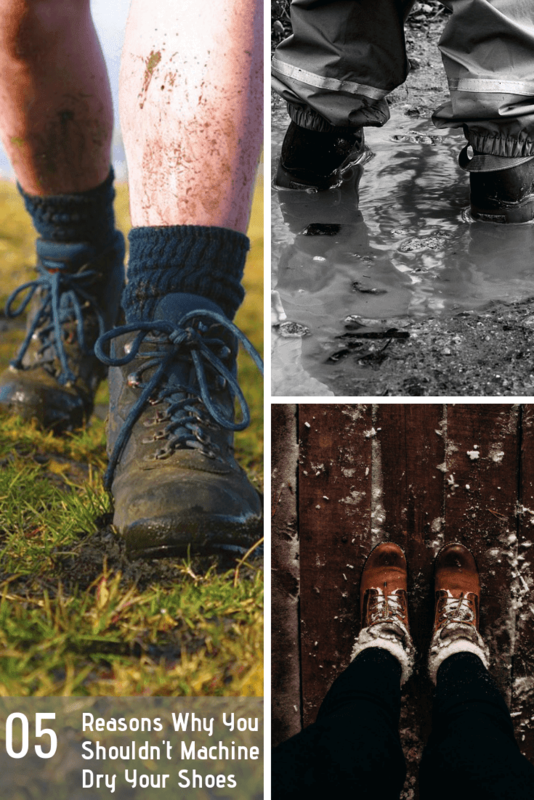 All of those are great reasons to not use a machine dryer on any shoes, boots, or gloves. 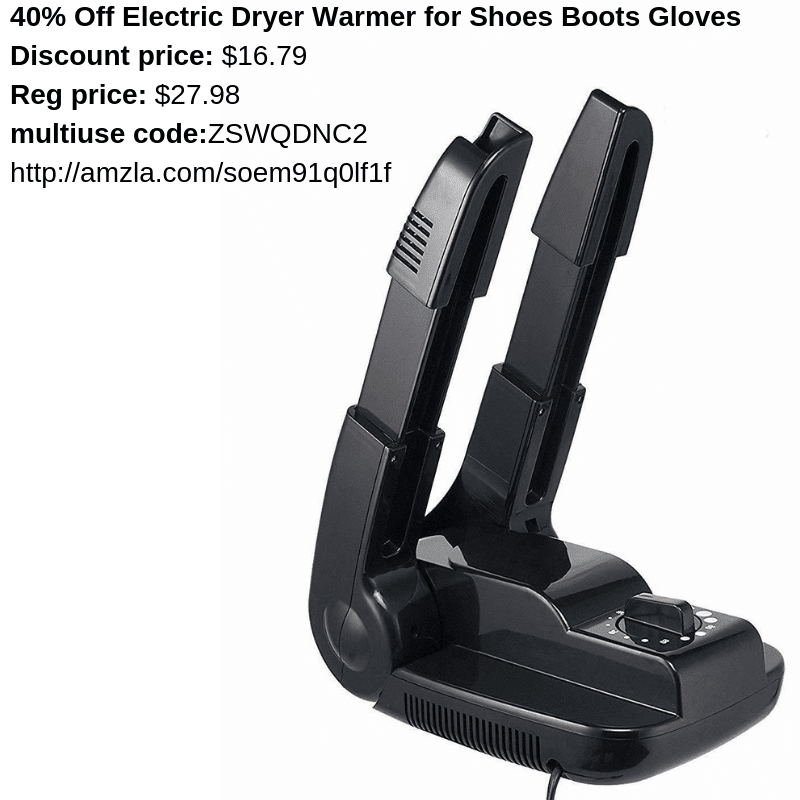 Check out this awesome dryer for footwear and gloves. This awesome brand even sent a 40% Off code too! Check it out below. 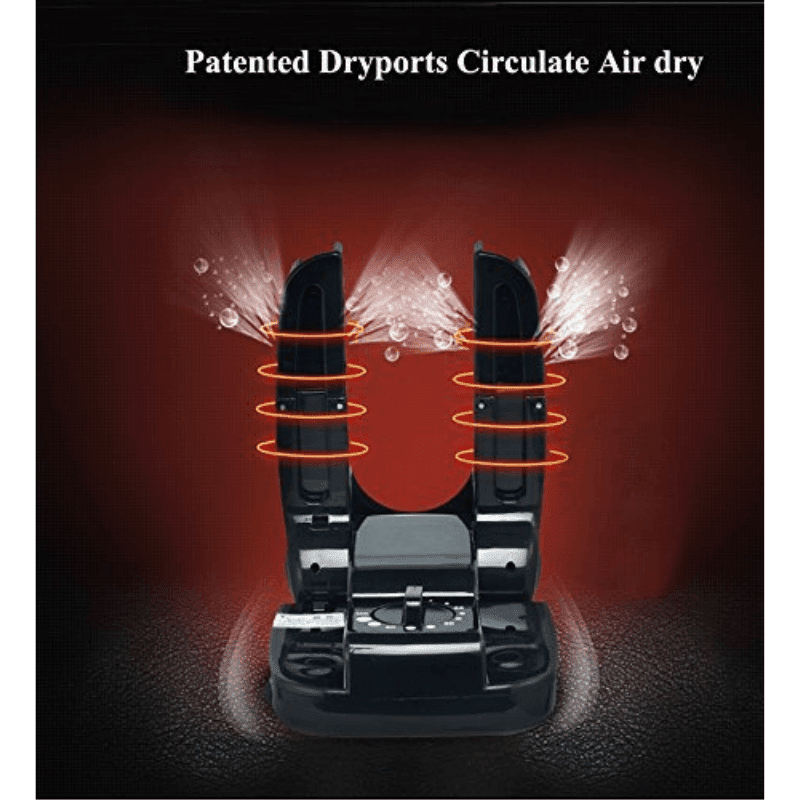 Check out how cool this shoe dryer is. It has a built-in fan and circulator! 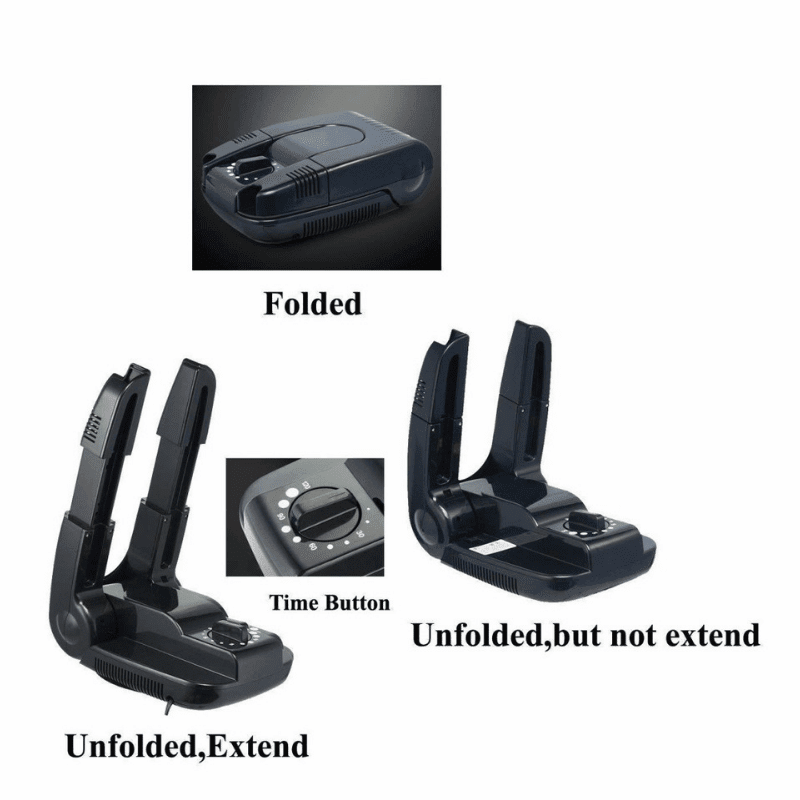 It folds for easy storage and everything! What do you think? Is this something you would use? With this crazy weather we have all been having, It would be great for every household. You don't even have to be an outdoorsman. Everywhere has rainy days that produce puddles. Yesterday it was snowing in Colorado and parts of the mid-west while it was dry and 83º springtime in NC. For the rest of the week, nothing but rain! I want one of these dryers!